Time to repair your library. Pam Bush upgraded her Mac to the latest version of OS X, but her Photos library is full of black thumbnails, rather than tiny images. The Mac consultant who handled her upgrade told her it was a bug, and she needed to “rotate every image manually.” “Not going to happen in my lifetime,” Pam writes. The consultant is technically correct: iPhoto and Photos rebuilds previews if you rotate an image, which can be done in Photos in the All Photos view by selecting Edit > Select All and then Image > Rotate Clockwise or Rotate Counterclockwise, and then the opposite after the rotation is complete. However, for a large photo library, this is a lot of wasted time and effort, and might mask other problems in the file structure. 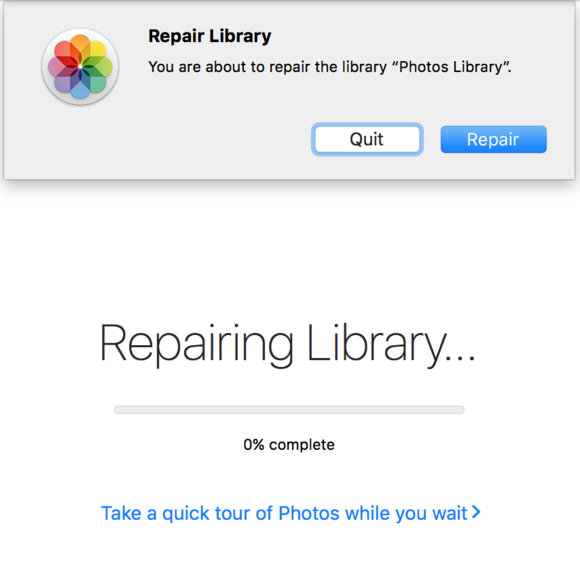 Instead, you can rebuild thumbnails or repair the library, depending on the software you use. For iPhotos and Photos alike, quit the app, then hold down Command and Option while launching, and keep them held down until you see a dialog. 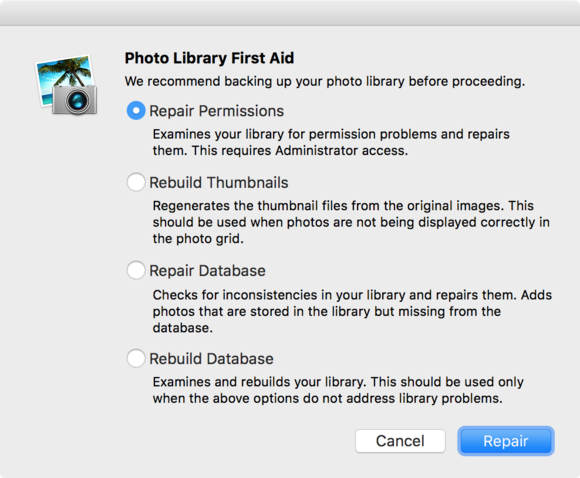 iPhoto Library First Aid lets you choose among four options for repair, including rebuilding thumbnails. Photos offers an all-inclusive repair option. 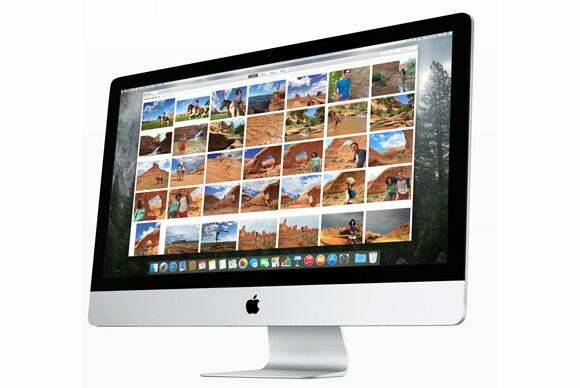 Photos removed any options: when it’s launched with Command and Option held down, you can opt to Rebuild or Quit. Rebuilding performs all maintenance operations and shows you the progress as it goes.